Number of Sleeping Rooms/Suites: 153 Number of Meeting Rooms: 1 Total Meeting Space: 588 sq. ft. 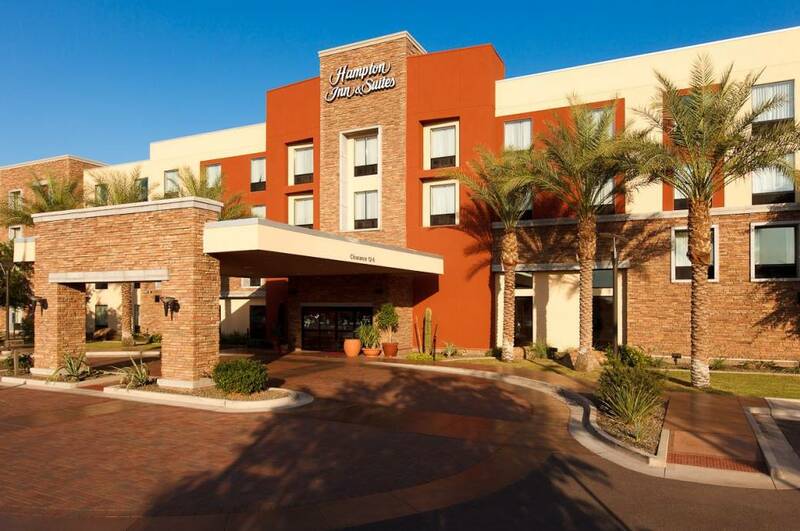 Type of	Banquet Meeting Venue: Classroom, Theater Distance to PHX Sky Harbor: 17 miles Distance to Phoenix Mesa Gateway Airport: 17 miles The Hampton Inn conference room can seat up to 32 people with tables, or 40 people for theatre style, (chairs only). The room is equipped with a white board and a projector screen. A/V equipment available upon rental request. We can provide light food and beverages upon request. Outside food and beverages are also welcome. Description The Hampton Inn conference room can seat up to 32 people with tables, or 40 people for theatre style, (chairs only). The room is equipped with a white board and a projector screen. A/V equipment available upon rental request. We can provide light food and beverages upon request. Outside food and beverages are also welcome.